With the plethora of eCommerce websites vying for people’s attention, it’s getting harder to not only find a unique niche, but also to turn a respectable profit. Of course, if you aren’t able to attract customers, your eCommerce sales will undoubtedly suffer. The good news is that there are some sure-fire ways you can bolster your sales income, and you likely already have all the tools and expertise you need to implement them. You might need to introduce a new business strategy or tweak your home page’s effectiveness, but a high-converting website is well within reach. In this post, we’ll take a look at four ways you can maximize your eCommerce sales without resorting to unethical or overly complicated methods. Let’s get started! Sell to your existing customers first. Introduce a Pay What You Want strategy. Optimize your home page for increased conversions. Introduce Micro-Moments for mobile users. GoDaddy Email Marketing is a great way to set up automatic drip campaigns to reach new and existing customers. Traditionally, you conduct business by encouraging a constant influx of new customers. However, many businesses have discovered that their existing customer base offers a better opportunity to bolster sales. For starters, your existing customers should already be onboard with your philosophies, meaning they enter the sales funnel later in the process. Also, it’s actually cheaper to sell to your current customers than to acquire new ones. Fortunately, this strategy is well within the reach of most businesses, and it all starts with your email list. First, target your email list subscribers consistently and often, as they’re ready-made potential customers. Next, make sure you’re automating your emails to follow up with new customers, as this is a great opportunity to turn them into regulars. Offering a PWYW strategy can boost sales if implemented correctly. This is a concept that on the surface seems to devalue your offerings, but could actually help business boom. A PWYW strategy is just what it sounds like: you give the customer the opportunity to name their price for your products or services. Before you dismiss this approach, consider the benefits. You’re enabling more customers to enter the sales funnel and boosting your reputation by displaying generosity. 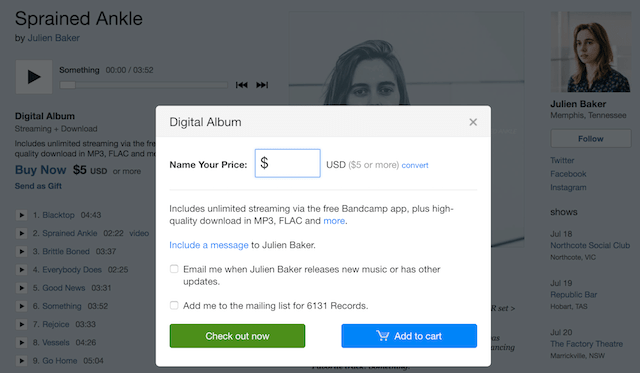 If you sell digital products, you can even reduce piracy by making your product easily obtainable. There are plenty of tips for implementing this strategy. First, you’ll want to find out what the relevant options are for your current eCommerce solution (for example, WooCommerce has a Name Your Price extension). Then, promote urgency by limiting the offer to a set time period. Finally, it’s smart to still set a minimum price for your product to make sure you’re earning something from every customer, although this will obviously impact conversions. 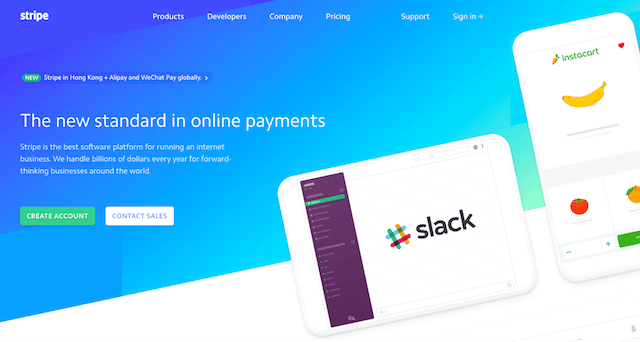 Stripe knows that having a well-arranged home page pays off in more conversions. Your home page is akin to a storefront. As such, it needs to be deftly laid out to maximize conversions. It makes sense to offer an entry to your sales funnel here, which can supercharge your eCommerce sales figures if done correctly. Offer a Unique Value Proposition (UVP). You shouldn’t assume visitors will understand why they should buy from you. It’s important to add content to your home page outlining why you’re the best. Introduce risk reducers. The goal here is to make purchasing less risky. Including prominent verbiage — for example, referring to your free shipping and returns options, or adding a lowest price guarantee — can make all the difference. Split test your changes regularly. Making site tweaks without judging their effectiveness is akin to throwing mud at the wall and seeing what sticks. Testing and refining your changes will pay off in the long run. The takeaway here is not to rely on your product pages to do the heavy lifting. Your entire website should get customers moving through the funnel, starting with your home page. Google’s micro-moments are a new way to maximize eCommerce sales. 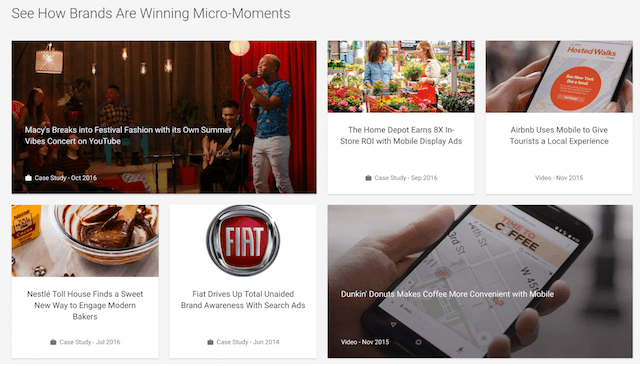 Micro-moments is a fairly new concept from Google. It considers the number of engagement opportunities a potential customer experiences before making a purchase, and aims to take advantage of as many of them as possible. For example, think about how people use Google and Amazon on mobile devices when shopping for in-store items. Given the dominance of mobile browsing, this is a simple way to slot into the customer’s buying process. I-Want-to-Know moments. This first moment is the customer’s curiosity phase when they’re searching for any worthy information on the product they’re considering. I-Want-to-Go moments. If you have a physical store, getting your details in front of curious visitors at this point can net you a sale. I-Want-to-Do moments. This is the how-to phase — i.e., when people do research on how the product will be used — and could come either before or after the purchase. Your site’s content is key here. I-Want-to-Buy moments. The customer is in buying mode in this phase, and it’s now up to you to help them make a purchase. There’s a lot more you can do with this burgeoning conversion strategy, so we recommend delving into the Google microsite to find out exactly how you can maximize your eCommerce sales using micro-moments. eCommerce is more competitive than ever before, which means you’ll have to pull out all the stops to make sure your store turns a profit. Failure to keep ahead of your competitors could see you enter a lean period you might not recover from. Focus on selling to your existing customers, rather than trying to constantly gain new ones. Implementing a PWYW strategy could see your profits rise, but requires an invested customer base. Your home page should be optimized to convert as many customers as possible. Micro-moments is a new concept, but could be the difference between mediocre and bolstered sales. Editor’s note: Just getting started and need a platform that can handle your eCommerce sales? Check out GoDaddy’s Online Store. You can have a site running in less than an hour, and it’s fully equipped with multiple payment and shipping options, inventory tracking, eCommerce design features and more. Best of all? You can try it for free.